Saint Petersburg, the second-largest city in Russia, is the cultural capital of the country, safeguarding the art and history of the nation within its numerous fascinating landmarks. This week Vera is showing you one more highlight of the city - Russian Vodka Museum. Because what better way to get to know Russians, their culture, and customs than by tasting the signature spirit, are we right? 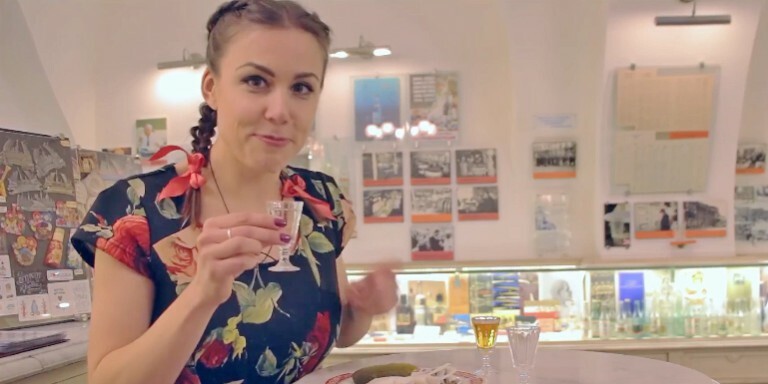 The cozy museum located in Saint Petersburg boasts a vodka bar, where after the tour you will be tasting three different shots and traditional perfectly paired snacks. Also, if you feel hungry for more of the classic Russian taste, you can pop into the restaurant next door and enjoy the traditional cuisine. Discover the rich history and taste of Russian vodka as you watch our always-charming rep, Vera, show you around the museum. During the visit, you will learn when the famous clear Russian spirit was created, what it is made of and what to take after it. A visit to the museum is included in a private tour to Moscow and St. Petersburg "Winter Treasures of Two Capitals". If you wish to travel to Saint Petersburg with one of our private land tours, don't hesitate to ask your destination specialist to include the Vodka tour activity in your itinerary.